This post will be going to be a four part series titled Preparing Active Directory for Exchange 2010, Installing Exchange 2010 using the User Interface, Reviewing the Mailbox Server Role and Creating New User and Testing Coexistence.The testing environment is on virtualization/Hyper-V. We will learn how to install Exchange 2010 by using the user interface (UI) and understand basic server role configuration. In this installation we will be needing 4 virtual machines with different roles. 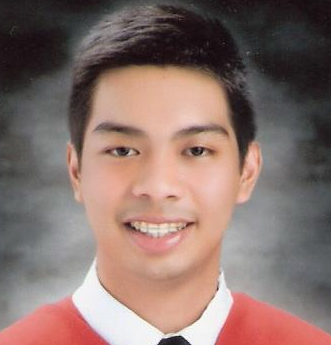 listed below the specifications and name for us to be familiarized. Client01 - WS2008 - Vista Experience with 1024 of memory. Also before I start with the step by step installation. I want you to be familiar with the Network Architecture and Prerequisites. The domain is contoso.com. It will be also a coexistence with Exchange 2007. The following prerequisite software has been installed to prepare the Exchange server and organization for Exchange 2010. 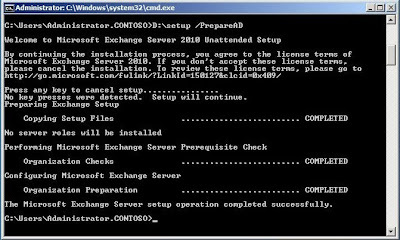 Before installing Exchange, verify that your Exchange 2010 server and organization meet the current prerequisites. Add-WindowsFeature NET-Framework,RSAT-ADDS,Web-Server,Web-Basic-Auth,Web-Windows-Auth,Web-Metabase,Web-Net-Ext,Web-Lgcy-Mgmt-Console,WAS-Process-Model,RSAT-Web-Server,Web-ISAPI-Ext,Web-Digest-Auth,Web-Dyn-Compression,NET-HTTP-Activation,RPC-Over-HTTP-Proxy,Desktop-Experience -Restart And the .NET TCP Port Sharing service has been set to Automatic startup. 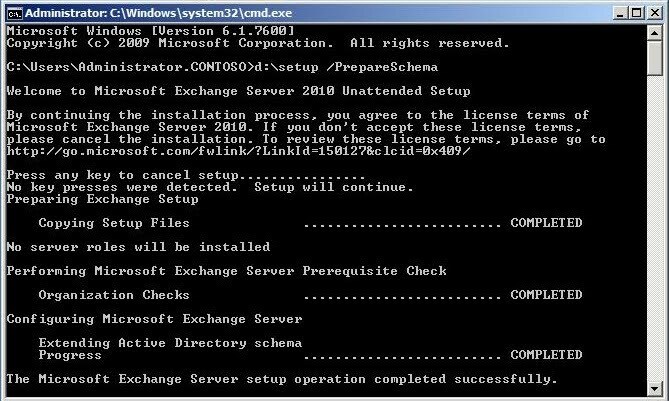 In this first part of installation we will prepare the Active Directory Domain Services with the schema updates needed by Microsoft Exchange Server 2010. We will then configure global Exchange objects in AD DS, create security groups in the root domain, and prepare the current domain for Exchange 2010. 3. Click Start, and the click Command Prompt. 5. Read the message about the agreement and license terms. Do not press any keys to allow the set up continue. The process may take 4-6 minutes. 6. Verify that the setup operation completed successfully. This command connects to the schema master and imports Lightweight Directory Access Protocol (LDAP) Data Interchange Format (LDIF) files to update the schema with Exchange 2010-specific attributes. Here is the screen shot of the installation. 2. Read the message about the agreement and license terms. Do not press any keys to allow the set up continue. The process may take 3-5 minutes. 3. Verify the setup operation completed successfully. 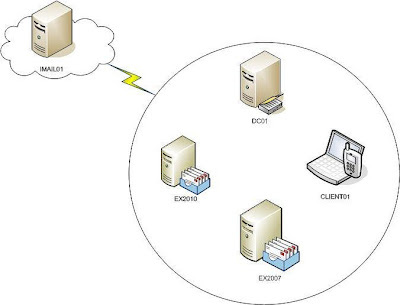 The command configures global Exchange objects in AD DS, creates security groups in the root domain, and prepares the current domain for Exchange 2o10. Running Setup /PrepareAD also prepares the local domain for Exchange. To prepare a domain other than the local domain, run Setup /PrepareDomain:. To prepare all domains in your organization run Setup /PrepareAllDomains. 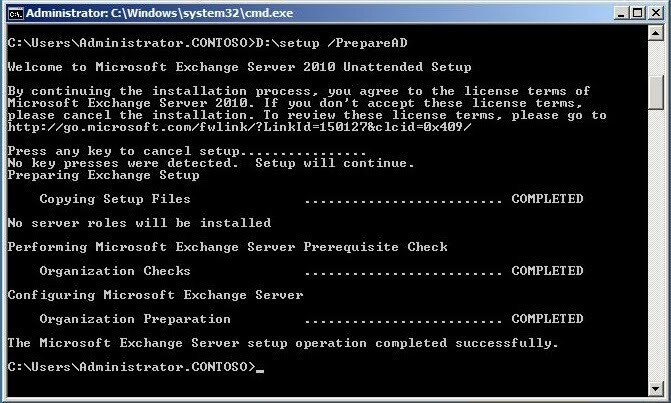 This ends the Installing Exchange Server 2010 (Part 1): Preparing Active Directory for Exchange 2010. 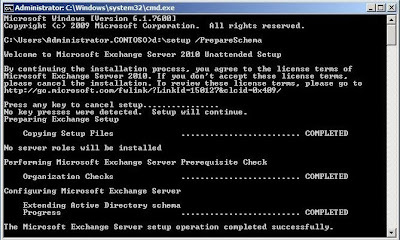 The next part is Installing Exchange 2010 using the User Interface.